They called him Mickey Free. 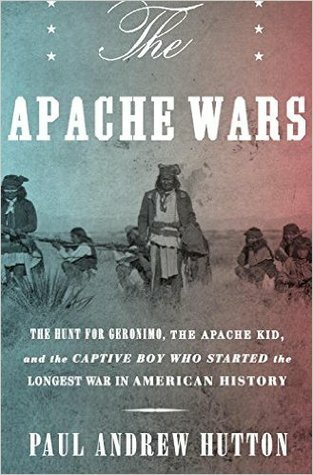 His kidnapping started the longest war in American history, and both sides--the Apaches and the white invaders—blamed him for it. A mixed-blood warrior who moved uneasily between the worlds of the Apaches and the American soldiers, he was never trusted by either but desperately needed by both. He was the only man Geronimo ever feared. He played a pivotal role in this long war for the desert Southwest from its beginning in 1861 until its end in 1890 with his pursuit of the renegade scout, Apache Kid. This is a great book. I have really enjoyed the history and the pictures included within it's pages. There is so much history about the Apache life and who they were then and now. Some of the details are what you would expect, how they tortured people etc. But this book really packs a punch when talking about how things have changed and what all came about from the different people.Great research and really a solid book from start to finish. Highly recommend to history lovers!